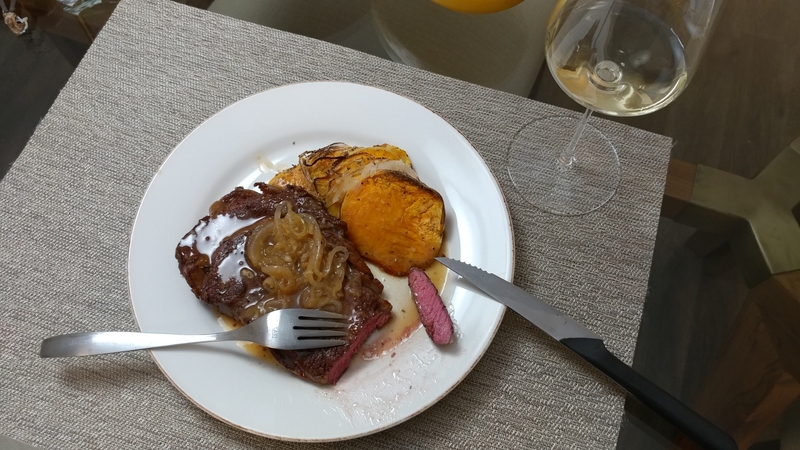 Completed dish with kosher ribeye steak, sweet potato and onion gratin with dried rosemary, and light onion gravy sauce. Resulted in a midweek dinner along with leftovers for the week. 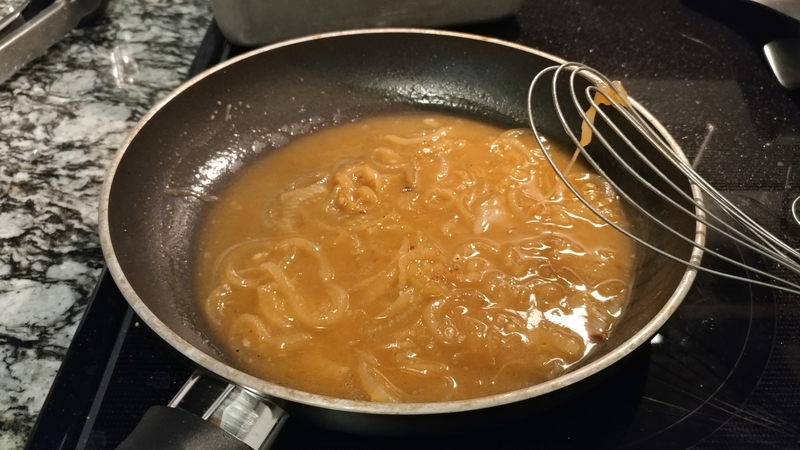 Slowly fried up onions and added some vegetable stock. Made a slurry with some AP flour, and then slowly combined to the onions and broth. Squeezed a little lemon for acidity. Got to use my mandolins to slice up sweet potatoes. The recipe called for shallots, but I subbed onions since I didn’t have any on hand. 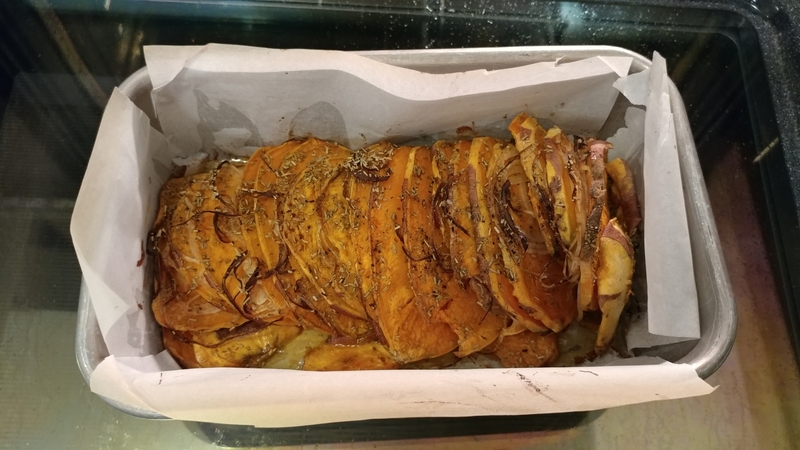 Sprinkled with dried, rubbed rosemary and olive oil all over. The potatoes came out OK. In the future I would rotate them more so that they cooked more evenly.